Welcome to Civil Air Patrol Ha wker Senior Squadron 128. We meet every 1st, 2nd and 4th Monday of the Month from 7:30 PM to 9:00 PM at The Park VNY (7900 Balboa Blvd. Van Nuys, CA 91406). Membership is open to adults aged 18 and older. Please see directions below. 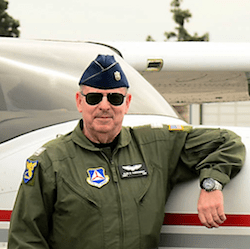 Civil Air Patrol—the civilian auxiliary of the United States Air Force—is an all-volunteer organization, and volunteers like you are our heart and soul. Please join us for exciting public service missions involving air and ground search and rescue, disaster relief, airborne photography, aerospace education and cadet mentorship. If you are interested in learning more about how you might get involved with Hawker Senior Squadron 128, please fill out the contact card on this site, or give us a call at 818.570.0399. Make a right onto Balboa Pl. Take the second driveway on the right onto the prepared access road. Make a left onto Balboa Pl. Take the first driveway on the left after the Home Depot Parking lot onto the prepared access road. 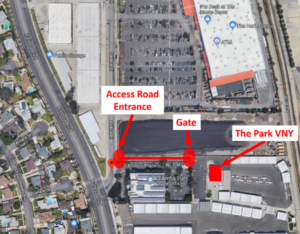 Please note that The Park VNY address resides on airport property and behind a secure access gate. A Squadron 128 member in a reflective safety vest will open the gate for you. Click on the map below to open GoogleMaps.